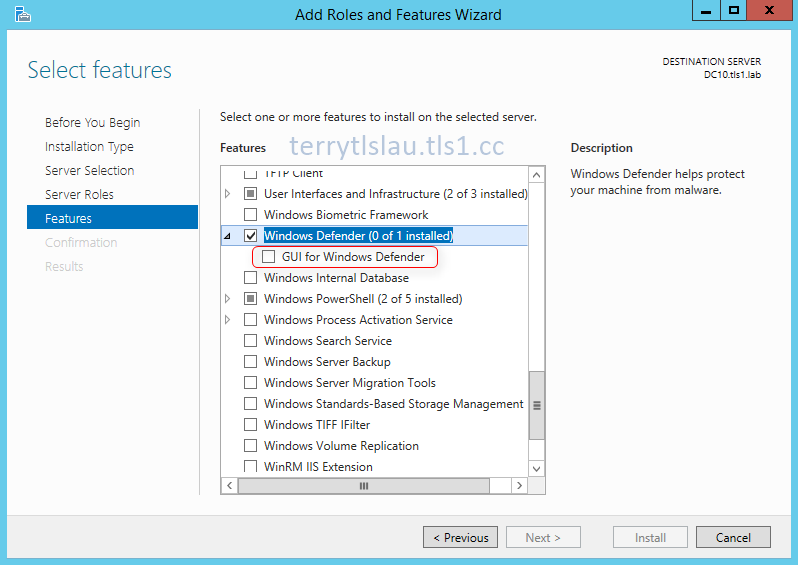 By default, Windows Defender is installed on Windows Server Technical Preview (vNext). As before, Windows Defender was included in the client side operating system like Windows 7 and later. It's the first time to include antimalware software on the server side operating system. 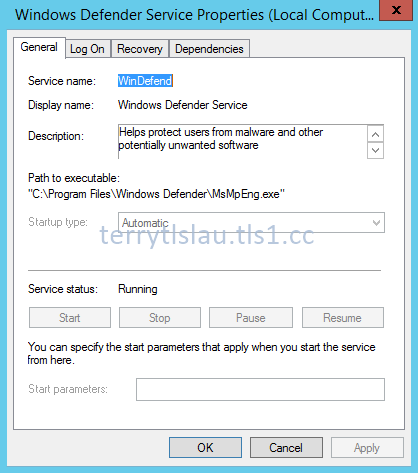 Is Windows Defender suitable for enterprise? Is Windows Defender suitable for SMB? For SMB, it may be a good choice. They may not need central management software to manage the antimalware software and then they don't need to pay additional cost to buy an additional antimalware software so SMB companies may consider using it. Anyway, let's have a look of Windows Defender on Windows Server Technical Preview. On a Windows Server Technical Preview, we can add the GUI console on the Windows Server. Even if we don't install "GUI for Windows Defender", we can perform PowerShell cmdlets to configure Windows Defender on a Windows Server. Perform "Get-MpComputerStatus", we can check the current status of Windows Defender. Even it's a technical preview version of Windows, we can perform "Update-MpSignature" to update the latest virus definition. Remark: The virus definition can be updated through Windows Update. 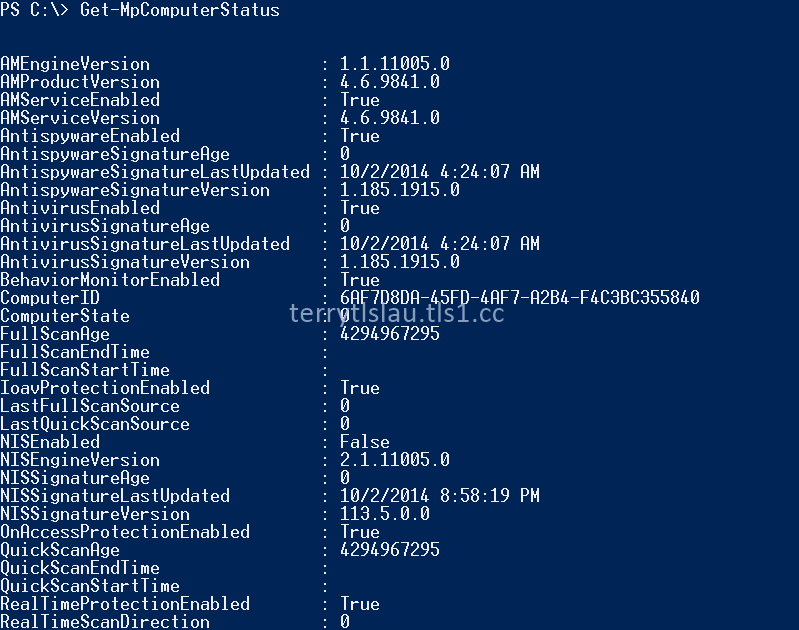 To check the Windows Defender status, we can perform PowerShell or check it from "Services" console. On TechNet Library, Microsoft listed the default exclusion paths of Windows Defender on Windows Server Technical Preview. The path is the following. To add or remove a new exclusion path, we can perform "Add-MpPreference -ExclusionPath" and "Remove-MpPreference -ExclusionPath" PowerShell cmdlets. Remark: We can also perform "Add-MpPreference" and "Remove-MpPreference" to exclude process and extension. For more information, please read Windows Defender Overview.